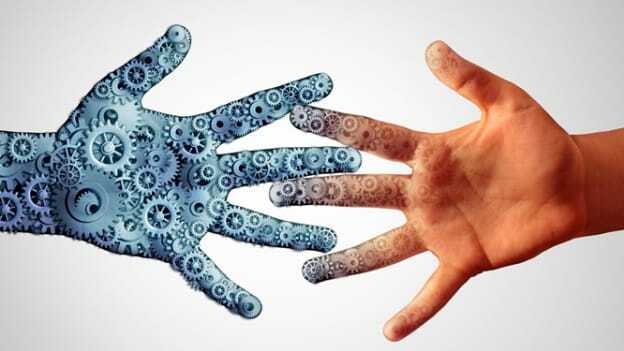 Article: Is HR prepared to manage both man and machine? Is HR prepared to manage both man and machine? The future workplace will be both man and machine. Does HR know how to co-manage them? The future workplace may not have robots like the R2-D2 and Tars hovering around the office floor solving customer grievances or developing products. But what is also true is that certain work activities of every job can and will be automated and done by machines – this is not from a science fiction movie, but from actual scientific research done by McKinsey Global Institute on automation of work. Machines will continue to augment human work, freeing them of repetitive administrative tasks. The future workplace will have space for both man and machines, and the Human Resources function will have to manage this hybrid workforce. The reason machines or the “no-collared workforce” as a Deloitte research calls it, will also need to be managed exclusively is because they will be responsible for doing a major part of work activities of every job. In NASA, a certain credentialed employee George Washington handles transactional administrative tasks like repetitive bookkeeping; also George is a bot. The collared and the no-collared workforce will work in a symbiotic relationship, and HR will have to co-manage them. This transformation of the workplace will impact the HR organization on all fronts – whether it is a talent acquisition, learning, and development or performance management and culture. Take the findings from the recent Deloitte Global Human Capital Trends report. More than 10,000 HR and business leaders were asked about the impact of automation on the future of work. Almost 8 in 10 respondents said that they will either retrain their employees or redesign jobs to make better use of human skills. That impacts both the Talent Acquisition and L&D functions. The bigger question then is, are organizations ready? The same Deloitte study says that only 17 percent of respondents agreed that they are ready to manage a workforce in which people, robots, and AI work side by side. Technologies such as machine learning won’t remain a purview of IT alone in the future of work. The HR organization will play a part in managing these technologies as workers. The workforce composition will change, and the machines will have to be viewed and managed as talent. Even NASA got Thomas Jefferson and others to accompany George Washington at work, all considered a part of the workforce, with their own Employee Ids, and email handles. Jefferson and Washington have been elevated from their use as mere machines to now components of the work. What this would mean then is that machine learning isn’t just a technology, but a component of problem-solving. Technologies such as machine learning then do not remain a purview of IT alone. The HR organization will play a part in managing these technologies as workers. If the AI tool is delivering wrong outcomes in finding sales leads from the website traffic, then HR will play a role in reviewing its performance and designing governance and control capabilities in it. The first question every organization needs to ask itself is – “is the no-collar workforce a viable option for us?” If the answer is yes, then the next step is to identify all the mission-critical workflows of your business which do not have uniquely human work elements – an example could be leadership where one needs emotional intelligence and empathy. Then find the augmentation opportunities in those workflows. Having this knowledge will help you do a gaps analysis, and explore different talent and technology options which can make that task more effective and efficient. Essentially, it is about identifying work activities within every job which can be automated. This is important in enabling HR to redesign jobs. Once you have defined the difference between skills which humans exclusively have and repetitive administrative tasks that machines can perform, you can identify opportunities for augmentation. For instance, customer service requires care and empathy; these are the social skills exclusive to humans. At the same time, there is a lot of record keeping and documentation that is repetitive and can be achieved by machines saving human effort and time. The next step is developing an understanding of the market – knowing which tools and technologies are available in the industry; which technologies are coming up; and which of all those will help your organization in augmentation. A synergy among business leaders, HR leaders, and IT leaders is important to identify how emerging technologies can help your organization be more productive and competitive. 5. Go slow or fast? The final step before implementation is agreeing on the speed with which you want to bring about the change – go slow or move fast. That will completely depend on the organisation’s vision and its digital ambition.